Gorgeous gun metal metallic guillotine cutter for cigars. 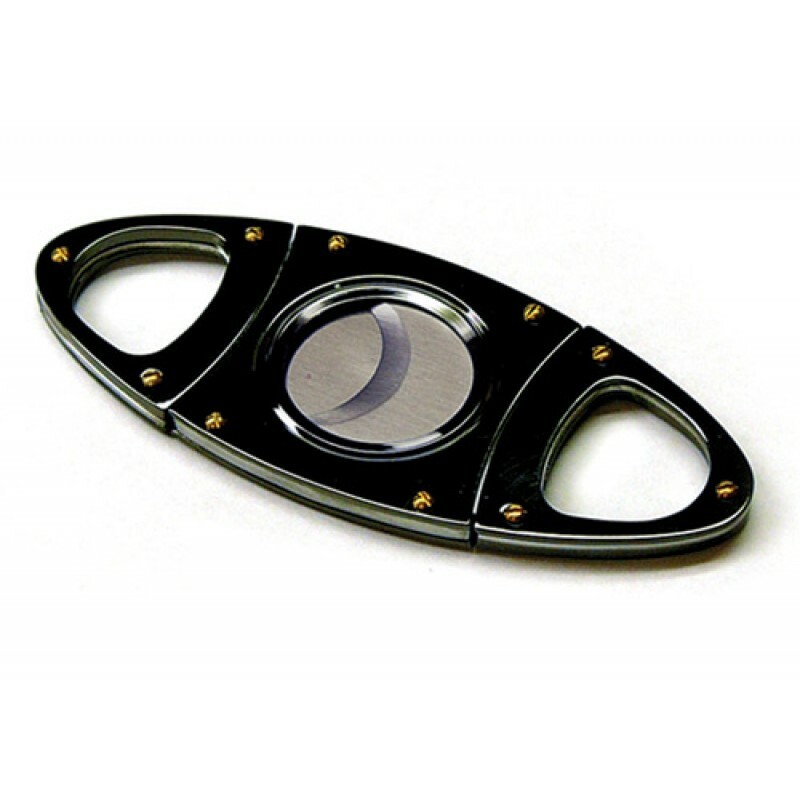 This precision crafted, beautiful guillotine is lined with a stainless steel inlay on its outer rim. The surface is accented with gold finished rivet style screws bringing a gorgeous contrast to its appearance. 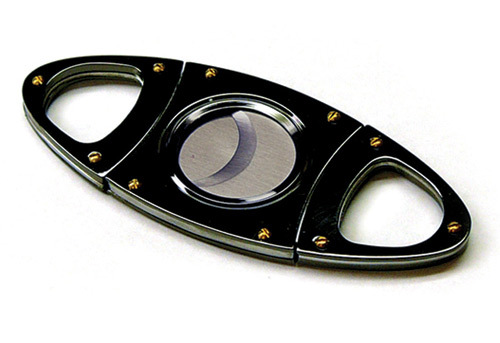 Find this designer style cutter in local cigar retail shops for $29.95!